Recreate the iconic Queen at Live Aid from 1985. This display set features all four band members with their instruments. Instruments include Steinway grand piano, three guitars, bass guitar and drums. Also on the stage are Brian May’s signature amp-wall and guitar pedals. 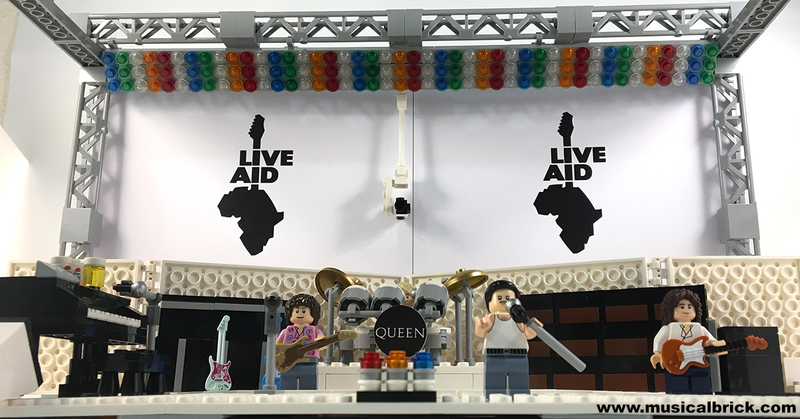 The number one Live event in the history of Rock and Roll now in LEGO bricks! This project has been a total joy to design and build. I have to thank the people who have kept encouraging me to complete this and to expand it into what you see now. Trying to include all the Pepsi and beer cups on the Steinway grand piano was one of the first details I worked on. It was apparently Freddie Mercury’s piano which was used by most of the artists including Phil Collins on the day. 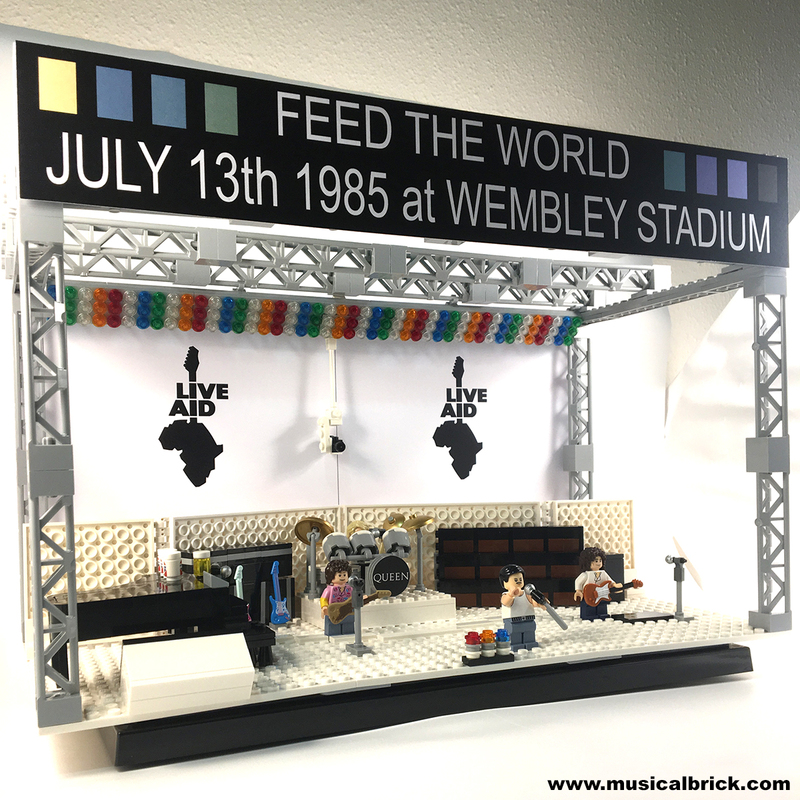 As timing was so essential to the Live Aid event, and there were so many acts, there was a rotating stage. This allowed acts to prepare as another was finishing. The stage would rotate, and another band would be ready to come on and begin playing almost immediately. Unfortunately the Lego stage does not rotate like the real one did. However I’ve left a brick outline of the curved platform. I do like the hanging camera behind the drum kit. This was a later detail I added. OMG I want that so bad!! I wish this was for sale. AWESOME!! !